Using the following procedure in the image attached causes the game to crash as soon as you enter the custom dimension i designed. Using the regular portal works fine with it, as soon as a procedure is used to change dimension ID (with or without entering the custom dimension via portal first) the game crashes upon the procedure being triggered and the dimension loading, if you reload the world after it crashes you spawn in the custom dimension via a nether portal. 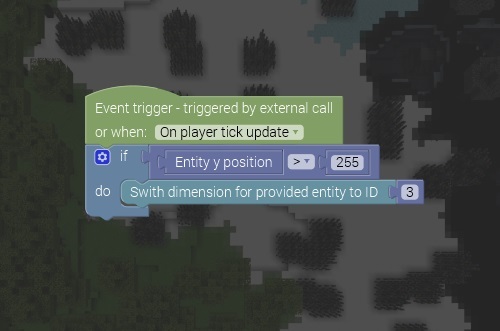 This is a known bug but with the current implementation of teleportation in Minecraft, we don't have a good fix for this yet.